Soon, and not because there has been any particular demand, Gop the frog in the coconut shell will be availaIble in Tshirt form. A fashion statement about literature and coconut shells will soon be able to be made. As much as Henry tells me to forget myself, I keep thinking that puts me in the mass market of Tshirt sellers. There must be almost as many Tshirt sellers as there are authors these days. A lot of competition. I notice on Twitter all the authors seem to be “Best Selling” authors. No medium selling authors or poor selling authors only, best selling authors. It makes you wonder, if everyone is, the best, who is average? No one, apparently. #1. 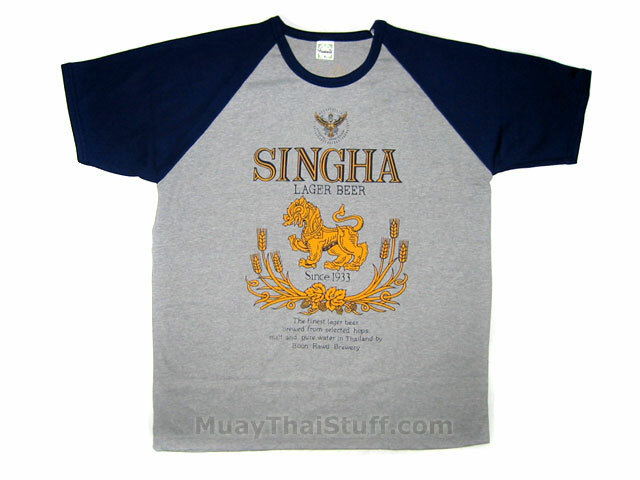 Singha Beer Tshirt, also available in singlet for those hotter days. #2. 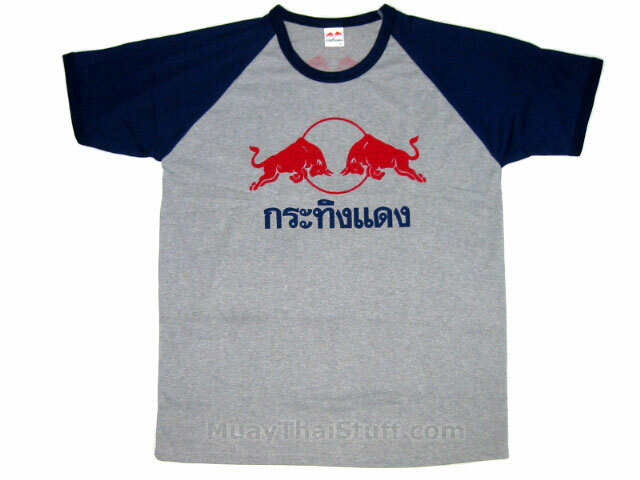 The Red Bull Tshirt. Also available in singlet for those hotter days. The grandson of the Red Bull heir finds himself in a bit of a legal mess at the moment. With most of betting money being that he won’t be seeing the inside of a jail cell anytime soon. Google the subject if you are not familiar with the case. A classic example of justice inequity in Thailand. #3. 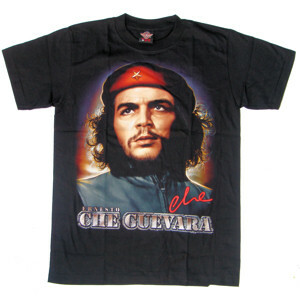 The Che Guevara Tshirt. Everybody loves a rebel and the Thai people love Che Guevara. I’ve even seen my share of farangs wearing this Tshirt over the years, which was factored into the algorithm. #4. Good Guy Goes to Heaven … Bad Guy Goes to Pattaya. There seems to be some doubt about heaven within some circles. But there can be no doubt about Pattaya. Some may blame the recent fire near Walking Street in Pattaya on those in heaven but that is a post for another day. Without question, perhaps the defining Best Selling non-product endorsing Tshirt ever produced in Thailand. And probably not from the Pattaya City Chamber of Commerce. #5. 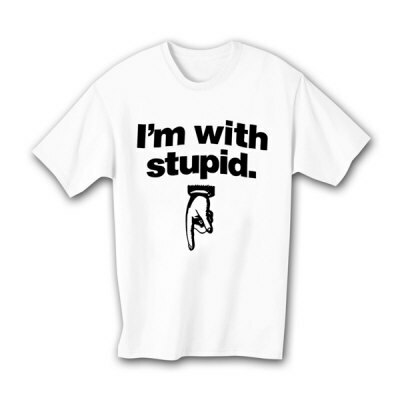 I’m with Stupid. Hand pointing in various directions. I actually haven’t seen that many of the above Tshirt in either Bangkok or Pattaya, I just think more guys should consider buying one. It’s always good to remind oneself of the company one keeps from time to time. What is the harm in that, after all? So there you have it. The Top Five Best Selling Tshirts in Thailand. If you don’t own at least one, consider yourself out of fashion.